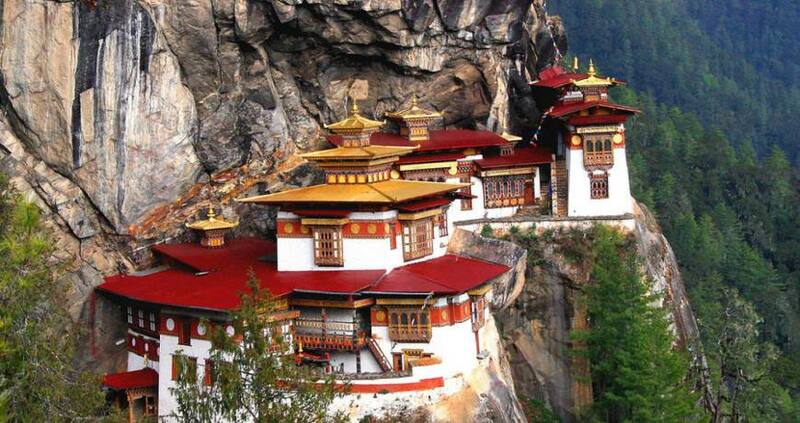 The last remaining Himalayan kingdom, which has also recently become a democracy, Bhutan has much to offer its visitors, whether they are trekkers or seekers of culture and colour. With only one airport (Paro) serving the country, and a limited number of twisting mountain roads entering from India, access is restricted. It is also expensive, because of government regulations intended to reduce the number of tourists and the impact of tourism. In very recent years, Internet and television have arrived in the country and it remains to be seen how things will evolve in the future. For now it remains a colourful country of culture, where all nationals must wear their national costume, the gho for men and kira for women, and all new buildings are constructed in the same old style, with brightly painted designs on the walls and rooftops. Day 01Fly to Paro The flight into Paro is a befitting introduction to the spectacular beauty of country. The journey offers you wonderful views of the Himalayas and an exciting descent into Bhutan. You will be met by your Bhutanese representative and transferred to your hotel to settle in. Afternoon visit Ta Dzong, (National Museum), Rinpung Dzong and Paro market. Overnight at the hotel in Paro. Day 02Paro - Thimphu (2 hour drive)After breakfast visit Drukgyel Dzong (a ruined fortress) and 7th century Kyichu Lhakhang (temple). Following lunch proceed to Thimphu (capital city of Bhutan). En route visit Simtokha Dzong (the oldest fortress in Bhutan built in 1627). Evening free and overnight at the hotel. Day 03Thimphu - ParoMorning sightseeing of Thimphu valley includes, visit to National Library, Traditional Medicine Institute, Arts & Crafts School, Textile and Folk Heritage Museum, National Memorial Chorten, Zilukha Nunnery, Traditional paper factory, Takin mini Zoo, Handicrafts Emporium and local shops. Evening drive to Paro for overnight stay. Day 04Paro Depart (by Druk Air)After early breakfast drive to the airport for flight to your onward destination. © 2019, Rasuwa Treks & Expedition P Ltd | All Rights Reserved.